​The Hebrides Series, by Malcolm Bray. 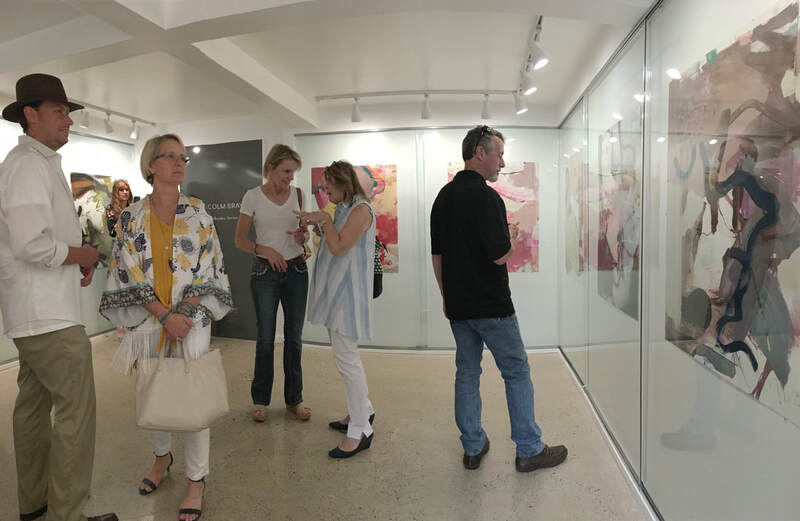 Opening reception, Aug.10 - 2018 at Galerie Stockton. ​His personal brand and transatlantic oeuvre is characterized as belonging to a branch of Abstract Expressionism. 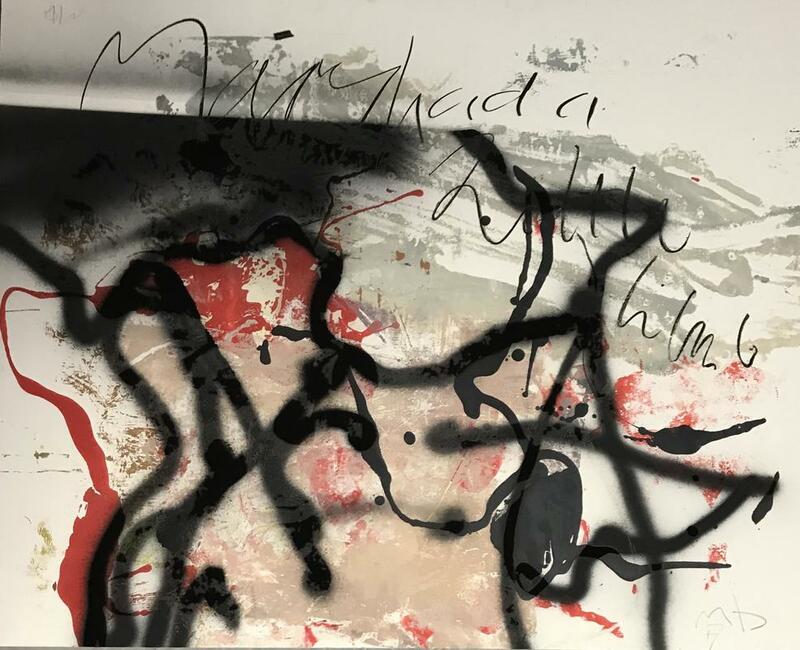 Bray has drawn inspiration from Picasso, Pollock and Willem de Kooning in particular yet considers himself a Neo-Expressionist. With a career spanning over 34 years Bray's artistic achievements place him alongside the most prominent painters in the region. Bray however, goes beyond a simple definition and might be your best example of the energetic self-taught artist, a student of his own making who champions Pollock and de Kooning while seriously looking at Picasso. Continually striving and experimenting he seems determined to master the art of his own inventions using the basic tools of oil painting. "These are hard won compositions belying the apparent ease of disordered spontaneity. They transport us into a realm of emotion and underlying meaning touching on the eternally dramatic"
"Malcolm has worked and worked and worked for many years, and his recent paintings, in my opinion, are not only his best but are better than many and most paintings that I see around me. I don't say this lightly and I wouldn't have said this so strongly a few years ago - I always liked Malcolm's work, and appreciated his direction and the struggle that was his art. But part of going down the rabbit hole is knowing and trusting that there are riches to be found if one keeps going, and Malcolm has hit gold of late." Malcolm Bray was born in 1958 in Hull, England and immigrated to the United States in May 1984. He became a citizen of the United States in June 2005 and is currently a resident of Hunterdon County, New Jersey. ​Bray attended Hull College of Art for a brief period in 1977. A natural draftsman with an affinity for painting, his initial interests encompassed graphic design, silk-screen printing and oil painting. Amidst a depressed and uncertain economy in England he chose to leave the foundation course preferring employment in Hull and then working in London before traveling to the United States for the first time in 1980. Soon to be self-employed, he supported himself by operating an antique import business for the next two decades, essentially bypassed any formal training and is considered self-taught. In 1991, Bray moved to the historic Spoke Works building in Lambertville, NJ. This 19th century warehouse accommodated both his import business and art studio. Bray purchased the 10,000 sq. ft. building in 1994. 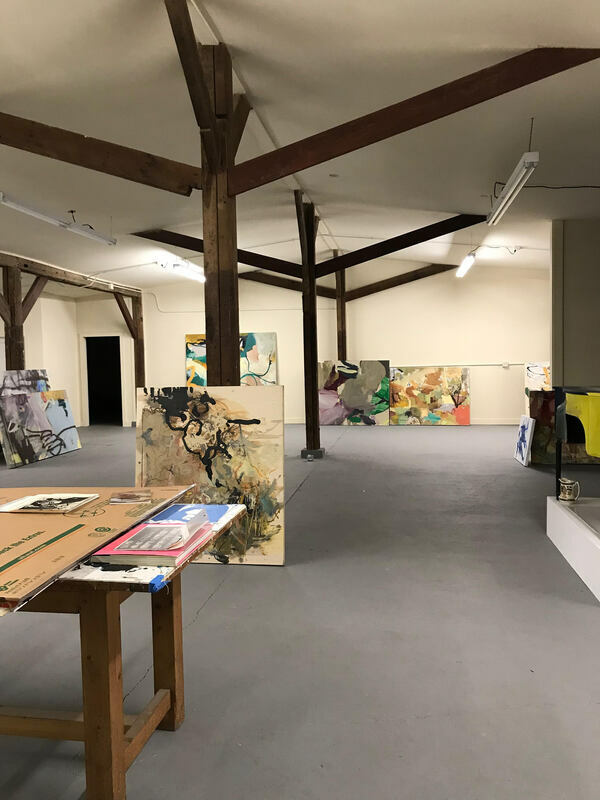 Between 1994 and 2002 the Spoke works became an exciting venue for numerous art exhibitions with an emphasis for figurative and abstract subject matter. Whittled down to approximately 10 artists, Bray identified this core of indifference as New Eclectic. The last shows for New Eclectic fell into the lap of MCS Gallery, Easton, Pennsylvania in 2003 and West Chester University, Pennsylvania in 2004. By the spring of 2004, Bray sold his import business to concentrate on his art career full-time, exactly thirty years after his arrival to the United States. NEW STUDIO LOCATION AT CANE FARM (OFF RT 519) ROSEMONT NJ - 2 MILES NORTH OF STOCKTON.